Agent Satisfaction Is Your Foundation for Great Service Desk Customer Service - RDTMetrics.com | real data technologies, inc. I have noted on several occasions that the service desk’s two major goals are: (a) maintaining or improving customer satisfaction with the company or brand; and, (b) operating within budget. In that light, Agent Satisfaction is one of the most important metrics a service desk can track. That’s because it directly impacts both of those major goals. It’s clear that an agent who does not like his or her job is not likely to give the same level of service to customers than those who are motivated and satisfied. When customers aren’t served, customer satisfaction decreases. And when agents aren’t satisfied with their job, tardiness, absenteeism and turnover increase. These ultimately lead to lost productivity and to increased costs involved in replacing an agent who leaves the company. Recruiting, screening, interviewing, on-boarding and training all incur costs which can easily run into many thousands of dollars. It’s especially surprising and unexpected to discover that less than one-third of service desks monitor this critical metric. This may be due to a lack of focus on fundamental human resources best practices, however with the Millennial generation about to become 75 percent of the U.S. workforce, companies have taken a new interest in understanding what leads to job satisfaction. Perhaps a greater number of service desks will begin to monitor agent satisfaction as this evolution from Boomers to Millennials continues. Job training that specifically addresses the work an agent will be doing. The duration, depth and quality of that training will certainly vary according to the job description, but the key point is that the training should directly address job duties. When a company values and gives employees opportunities for professional development—the ability to earn certificates, degrees and other formal indications of professional advancement—job satisfaction increases. Likewise, career development opportunities lead to greater job satisfaction. For example, giving first level agents a path to greater responsibility establishes a goal that increases agent satisfaction. What is the Agent Satisfaction Formula? These and other relevant factors can be measured using a survey that asks respondents to report on a scale of one to five how satisfied they are with each of the relevant factors. Using a five-point scale, the percentage of agents who indicate they are “satisfied” or “very satisfied” constitute the agent satisfaction metric. How would you rate the quality of training you received? How would you rate your opportunities for professional development? How would you rate your opportunities to advance in your career at the company? How would you rate your overall job satisfaction on the service desk? Developing a survey is beyond the scope of this article. Although, I have developed a methodology for designing effective survey questions which I plan to share in a future article. Once the survey is built, it’s best to administer it once or twice a year. If it is administered too frequently, agents may become acclimated to the survey and fail to give it serious thought as in, “Oh, no, not another satisfaction survey!” On the other hand, keeping the results of each survey and comparing differences over time can indicate how changes you may have made have affected agent satisfaction. The first impact of a poor score on this metric should be the steps management takes to identify the cause for low scores. For instance, another metric, Agent Utilization Percentage, measures the workload carried by service desk agents and is inversely related to Agent Satisfaction. It is important to keep a close watch on this metric because when it climbs beyond about 60 percent, employee turnover often ramps up. A poor Agent Satisfaction score can not only affect the cost of operating the service desk when burdened with the costs of replacing agents with new employees. It not only affects the level of customer satisfaction. When a service desk has a poor rating on this metric, the infectious nature of what dissatisfied employees say and do can negatively affect the entire operation. If you are not currently monitoring this critical metric, I suggest you do so. Your agents will be grateful that you are concerned about their job satisfaction. Your customers will reward you with greater levels of customer satisfaction. It’s a win-win situation. Using an annual or semi-annual survey, each survey administration provides a snapshot in time. Like most service desk metrics, Agent Satisfaction does change over time, although surveying to identify each of those attitude changes as they happen is not practical. Instead, use each survey as a guide that shows you where to make changes that will improve Agent Satisfaction. 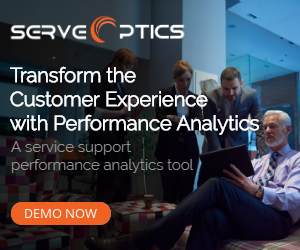 Then, of course, the best way to monitor all your rapidly changing service desk metrics uses a software system that provides real-time dashboards as well as reporting capabilities. It should consolidate data from multiple technology sources and software systems to provide actionable management information with which you can make informed decisions and fine tune your operation.